Minn Kota’s powerful E-Drive Electric Outboard motor is perfect for lakes with gasoline restrictions. The quiet 2-hp power plant will move a full-size pontoon boat up to 5 mph with no fumes, no emissions and no messy gasoline. E-Drive can run up to 2 hours at 100% on a single charge, and features a special tilt-lock mechanism for safe and secure trailering. 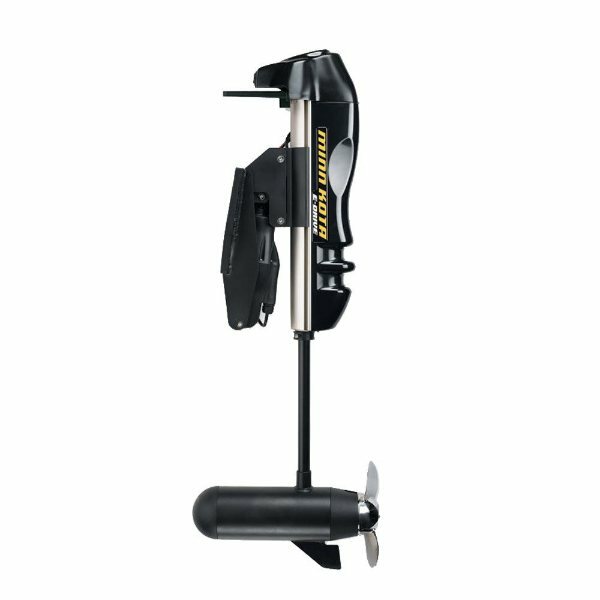 This bolt-on transom model connects directly to your boat’s standard cable linkage, while the clamp-on mount utilizes Tilt Tiller control.